64 x 30 inches. 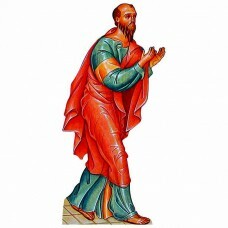 Our cardboard cutout of Paul the Apostle. All cardboard cutouts come folded and have..
65 inches. 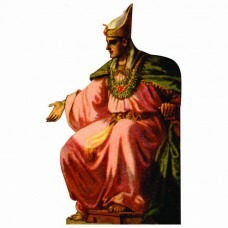 Our cardboard cutout of Pharaoh. All cardboard cutouts come folded and have an easel atta..
67 x 26 inches. 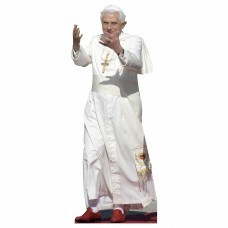 Our cardboard cutout of Pope Benedict XVI. All cardboard cutouts come folded and hav..
71 x 28 inches. 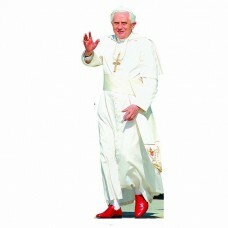 Our cardboard cutout of Pope Emeritus Benedict. All cardboard cutouts come folded an..
72 inches. 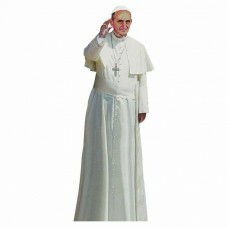 Our cardboard cutout of Pope Francis. All cardboard cutouts come folded and have an easel..
69 x 29 inches. 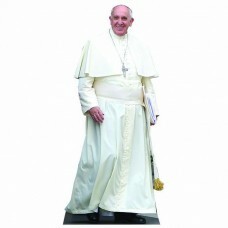 Our cardboard cutout of Pope Francis. 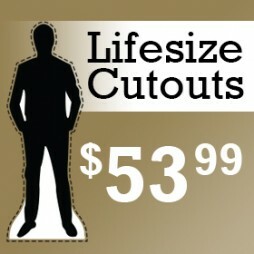 All cardboard cutouts come folded and have an ..
48 x 42 inches. 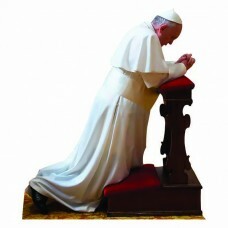 Our cardboard cutout of Pope Francis Praying. All cardboard cutouts come folded and ..
48 x 25 inches. 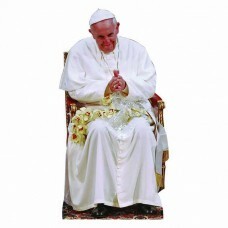 Our cardboard cutout of Pope Francis Sitting. All cardboard cutouts come folded and ..
69 x 31 inches. 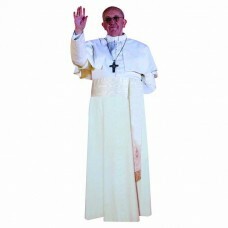 Our cardboard cutout of Pope Francis Standing. All cardboard cutouts come folded and..
70 x 22 inches. 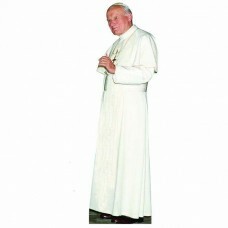 Our cardboard cutout of Pope John Paul II. All cardboard cutouts come folded and hav..
72 x 36 inches. 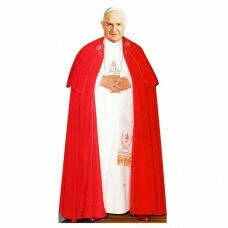 Our cardboard cutout of Pope John XXIII. All cardboard cutouts come folded and have ..
72 inches tall. 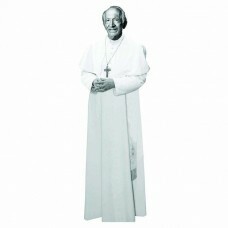 Our cardboard cutout of Pope Leo XIII. 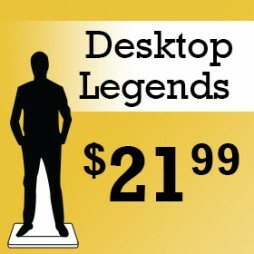 All cardboard cutouts come folded and have an..
72 inches tall. Our cardboard cutout of Pope Paul VI. 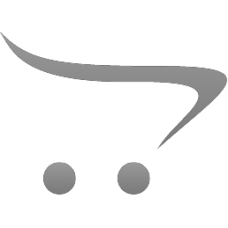 All cardboard cutouts come folded and have an ..
48 inches tall by 44 inches wide. 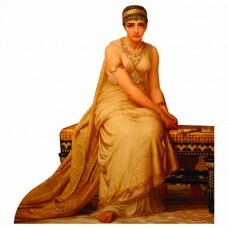 Our cardboard cutout of Queen Esther. 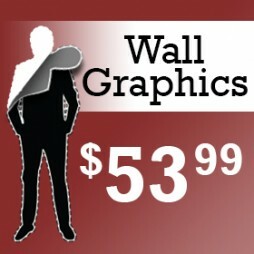 All cardboard cutouts come f..
67 x 42 inches. 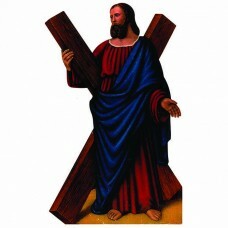 Our cardboard cutout of Saint Andrew. All cardboard cutouts come folded and have an ..